BTR’s research collaboration with the Monash University Centre for Biospectroscopy provides us with access to research and development from some of world's leading vibrational spectroscopists. These researchers are the inventors of the techniques that comprise BTR’s IP and continue to progress the science through its commercialisation phase. Associate Professor Wood is a Co-Director of the Centre for Biospectroscopy and is an Associate Professor in the School of Chemistry, Monash University. He completed his PhD in 1999 under the supervision of Professor Don McNaughton where he pioneered new ways to analyse cells and tissues using infrared and Raman modalities. Assoc. Prof. Wood's vision is to set up a world-leading institute specialising in translating spectroscopy to find solutions for the most devastating diseases on the planet. 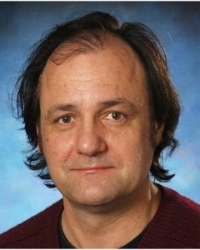 Dr Heraud is Co-Director of the Monash Centre for Biospectroscopy. He comes from a biomedical research background and brings his wealth of experience in this area to the directorship of the Centre. Dr Heraud is a member of the Department of Microbiology, Faculty of Medicine, Nursing and Health Sciences and the Monash Biomedical Discovery Institute. His connections to the infectious disease and malaria research communities underpin the development of new spectroscopy-based disease diagnostics in the Centre. Dr Perez-Guiata obtained his PhD in Chemistry from the University of Valencia (Spain) in 2014 working in the “Solutions and innovations in analytical chemistry” research group. He has worked in the “Laboratoire de Physicochimie de l'Atmosphère” in Strasbourg (France), the organic chemistry department of the University of Valencia (Spain), the “Institut de Chimie Moléculaire” of Reims (France) and the “Institute of Analytical and Bioanalytical Chemistry" in Ulm (Germany). His research focuses on the development of vibrational spectroscopic solutions to clinical problems, point-of-care, nano-imaging and chemometrics applications. Dr. Kochan obtained her PhD in chemistry from Jagiellonian University (Poland) in 2016. She worked in the Raman Imaging Group investigating models of liver injury and their pathogenesis with the use of vibrational spectroscopy (Raman, FT-IR), with particular emphasis on macro and microscale imaging. During her PhD she worked in the Institute of Photonic Technology (Germany) and Manchester Institute of Biotechnology (UK). Her research focuses on the application of vibrational spectroscopy to biological materials, including micro and nano-scale imaging as well as clinical diagnostic solutions. Dr. Ruther obtained her Dr.rer.nat. from the University of Freiburg (Germany) in 2016. She worked at the Department of Pharmaceutical and Medicinal Chemistry monitoring perturbation-dependent systems by the use of chiroptical spectroscopy namely ECD, QCL-based VCD, FT-VCD and ROA in several international collaborations. During her PhD she worked in the spectroscopic laboratories of BioTools in Palm Beach Gardens (FL,USA) and the Fraunhofer IPM in Freiburg (Germany). 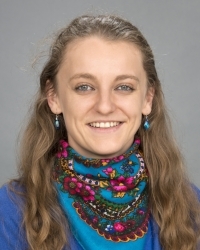 Her research focuses on the development of vibrational spectroscopic methods (ATR-FTIR, Raman, imaging techniques) combined with chemometric analysis for monitoring infectious diseases and their application in the field as point-of-care diagnostic tools. Executive Director and CEO of Biotech Resources, Peter’s 25-year business career includes senior roles in corporate enterprises as well as four start-up ventures. He has extensive experience in general management, finance, marketing, new business development and key account management. Peter has both a Bachelor of Commerce from the University of Melbourne and a Graduate Diploma in Entrepreneurship and Innovation from Swinburne University of Technology. Non-Executive Director of Biotech Resources, for over three decades Roger has held senior roles in corporate finance and business strategy roles both in Australia and internationally, including with PwC. Roger specialises in business case development, valuations, mergers, acquisitions, divestments, cost restructuring and provision of business strategy. Non-Executive Director and Company Secretary. Ivan (John) is an accountant and owner of an accounting practice with over 30 years experience. John provides leadership to BTR in financial management and corporate governance. Non-Executive Director. Damian is a General Manager in the digital agency space. An executive with over 15 years’ hands on experience at the coalface of digital strategy, planning and production, Damian is able to guide BTR’s big data strategy and platform build. Non-Executive Director. Peter is an Entrepreneur and Businessman based in Los Angeles, CA. He has built and run companies for the past 15 years, with a focus on social mission, public perception and cultural impact.